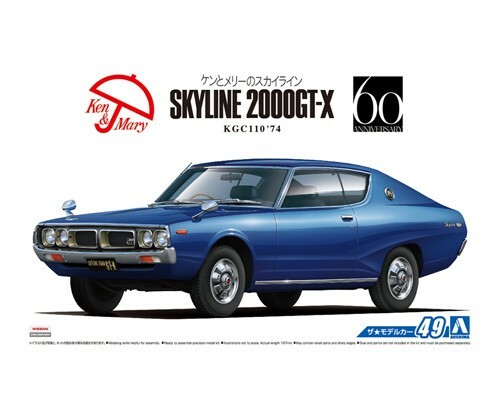 Nicknamed ‘Ken & Mary', the C110 series was released as the full model change 4th generation Skyline following C10.From its release, the vehicle soon became familiar with its TV commercial featuring characters Ken and Mary, which earned its nickname.In addition to its basic long nose, short deck style, the round tail lights, body line, and even its meter design was unique to the ‘Ken & Mary'. 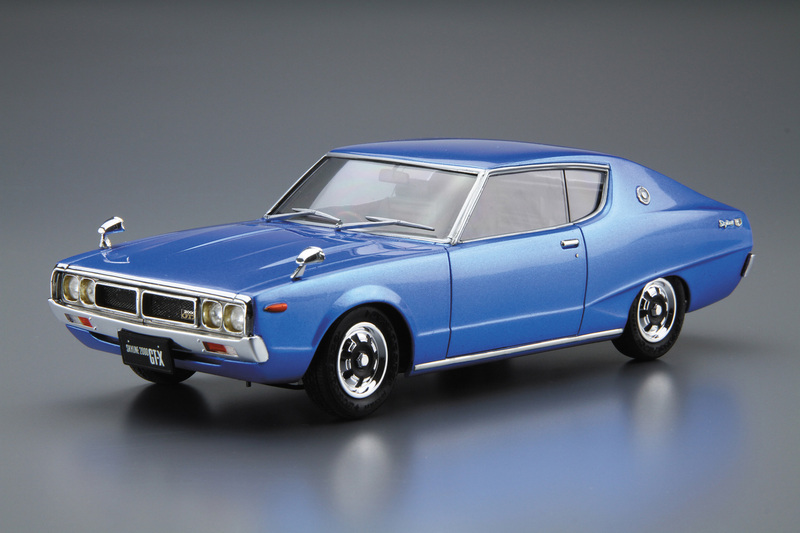 Selling over 670,000 vehicles, it became the best seller of its model. 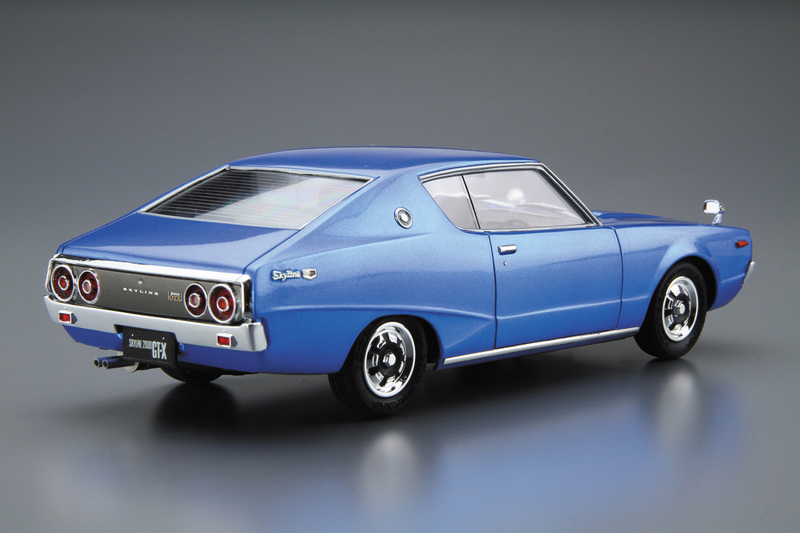 This kit replicates the 4-door ‘Ken Mary' 2000GT to its catalog specification. The molds for this kit were designed and developed in the 1970s and consequently not at the quality of replication of today's standards. However, details for the front grille, rear panel and genuine wheel caps are improved to today's standards. Also, features such as selectable chassis height, custom parts and aluminum wheels allow you to build the C110 to your preference.